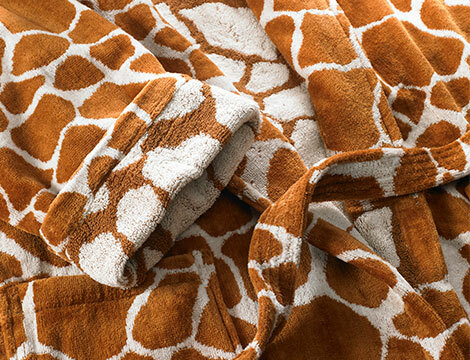 If there were a Most Intriguing Land Animals contest, giraffes would get our vote. 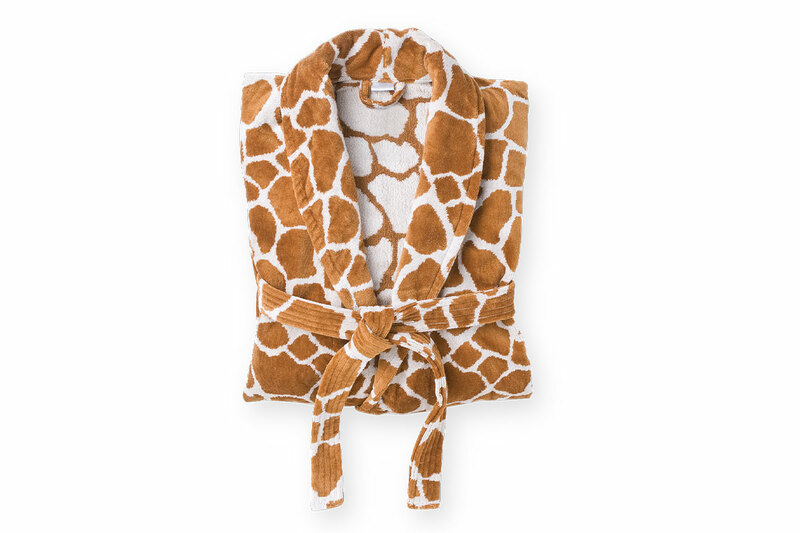 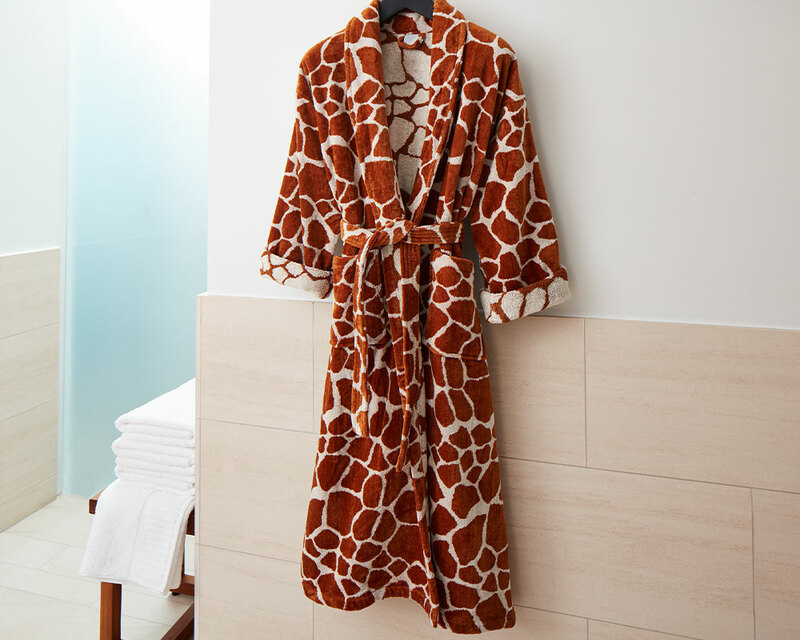 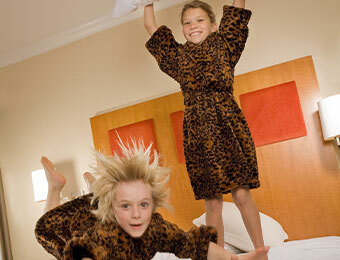 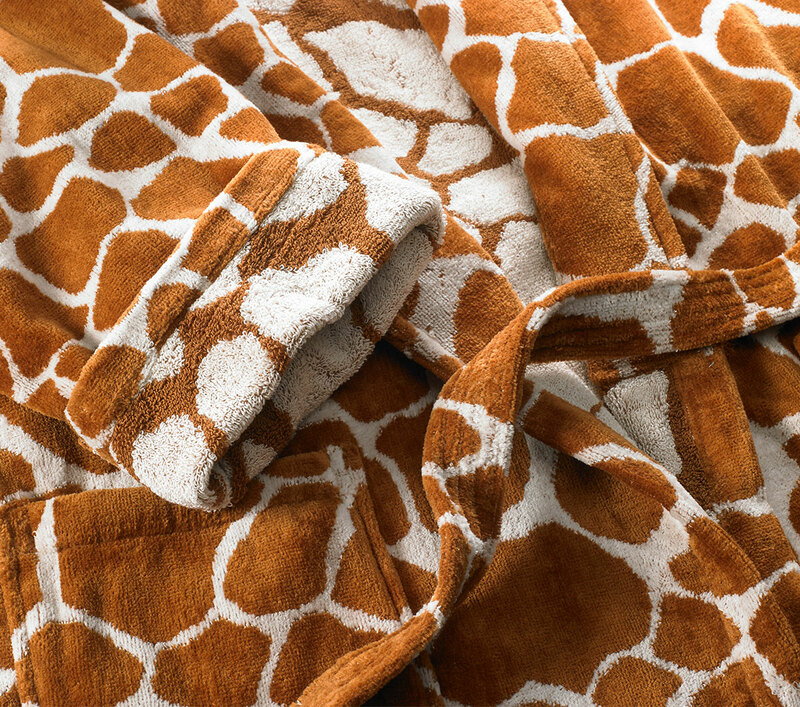 The Kimpton giraffe robe may get your vote for favorite body wrap ever. 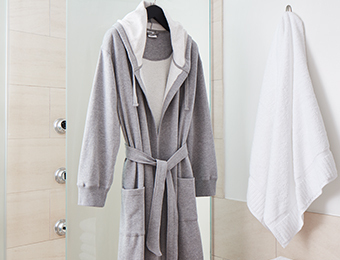 The sheared-loop terry fabric is 100% ring-spun Turkish cotton for coziness of the plushest kind. 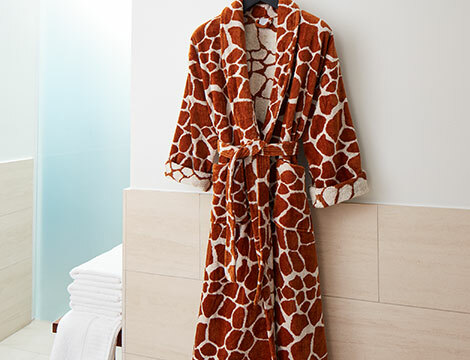 You can try it on for yourself if you stay in one of Kimpton hotels’ Tall NBA rooms. 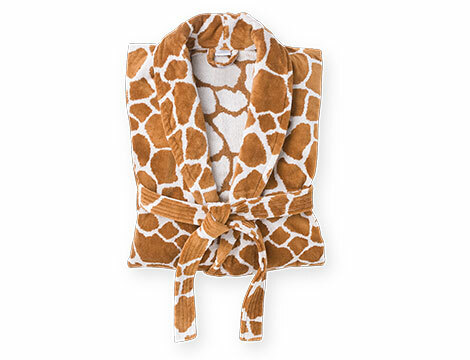 Or simply trust us when we say your status in the animal kingdom has just been elevated.